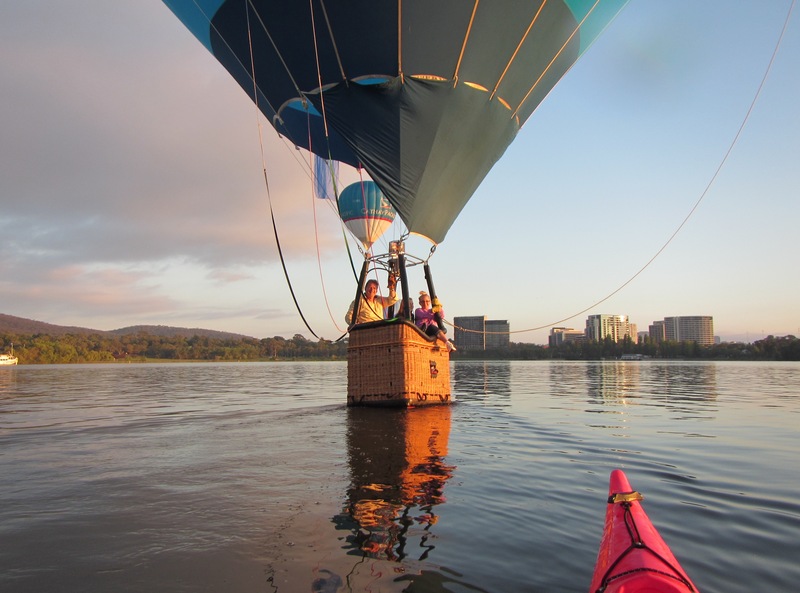 Mind blowing performance to kick start Canberra’s 100th birthday celebrations. 11 March 2013. Wow wow and wow…did I say wow enough. 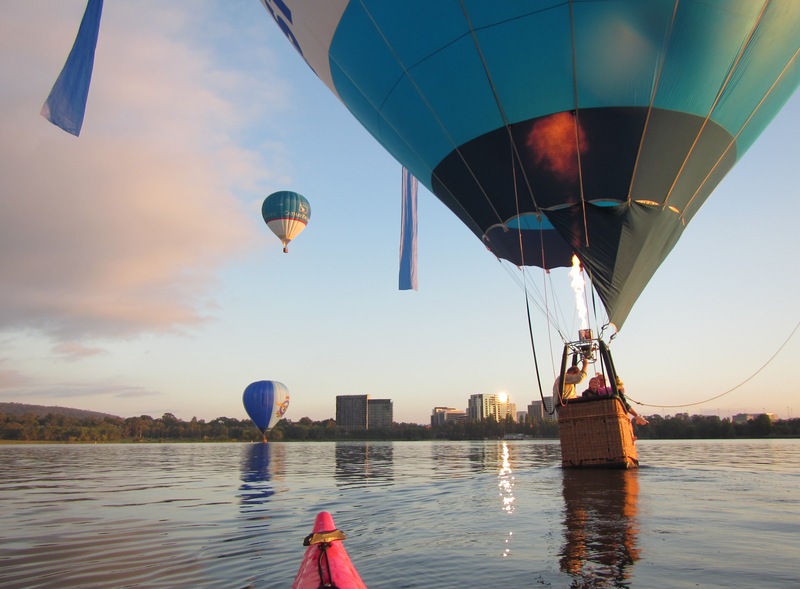 Lake Burley Griffin has started its 100th birthday celebrations with a mind blowing perfomance. 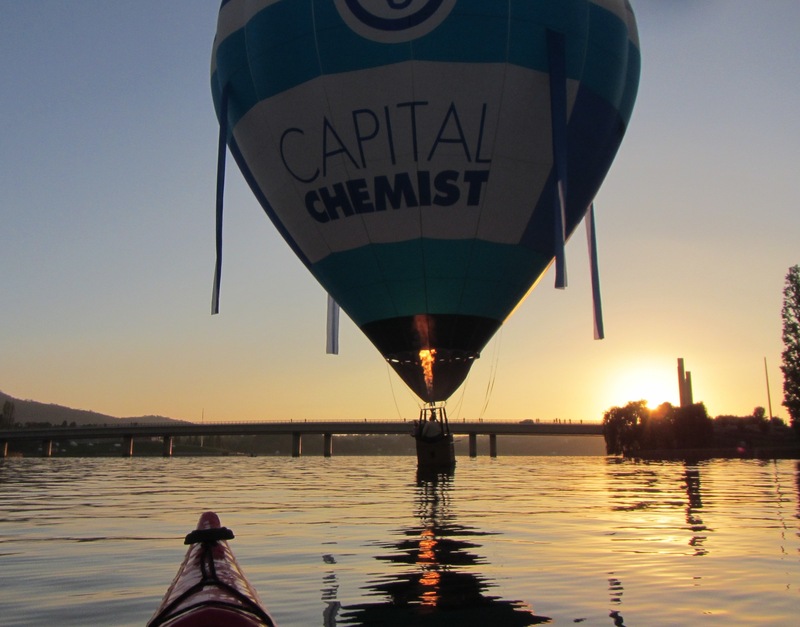 Copper sunrises, balloon silhouettes were dotting the skies, then there was the show stopping showman in the Capital Chemist balloon. He even had time to chat as he changed over of his LPG gas cyclinder as the other ran out of juice while he was basket dragging across the basin towards Black Mountain Tower. He was that calm it felt like we were sitting on his back deck, kicking back and cruising for the afternoon. Unreal, fantastic, brilliant and as many other wow words you can use may come close to the experience I had this morning. These guy’s will deliver anywhere! 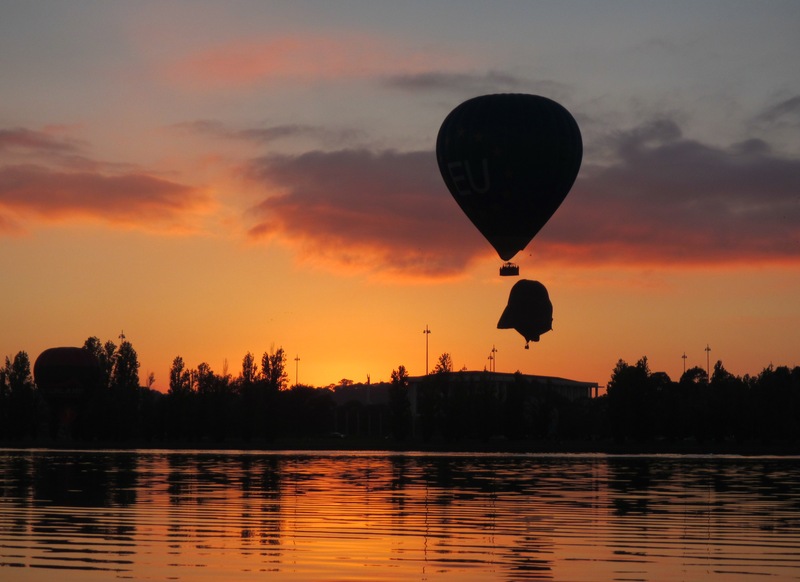 Sunday morning cruise with the family…its just that he takes out the balloon instead. 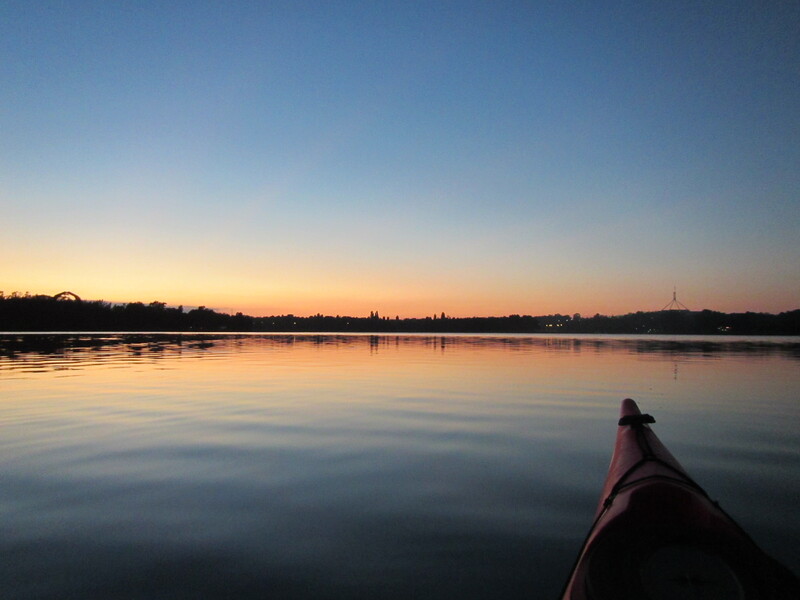 He told me that he kayaks as well…..for a moment there I was wondering if that’s what he thought he was in. 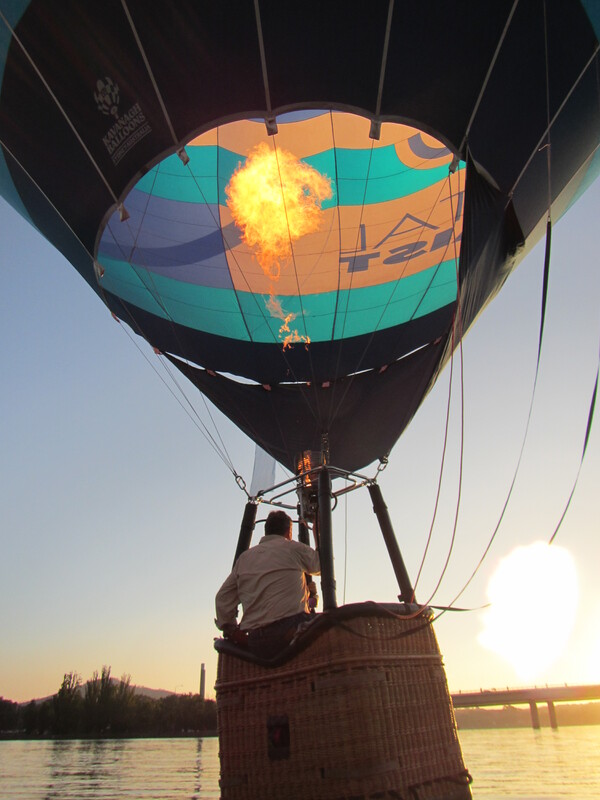 Up close and personnel…you could feel the heat …I’m told that it’s 120 degrees up inside the balloon. 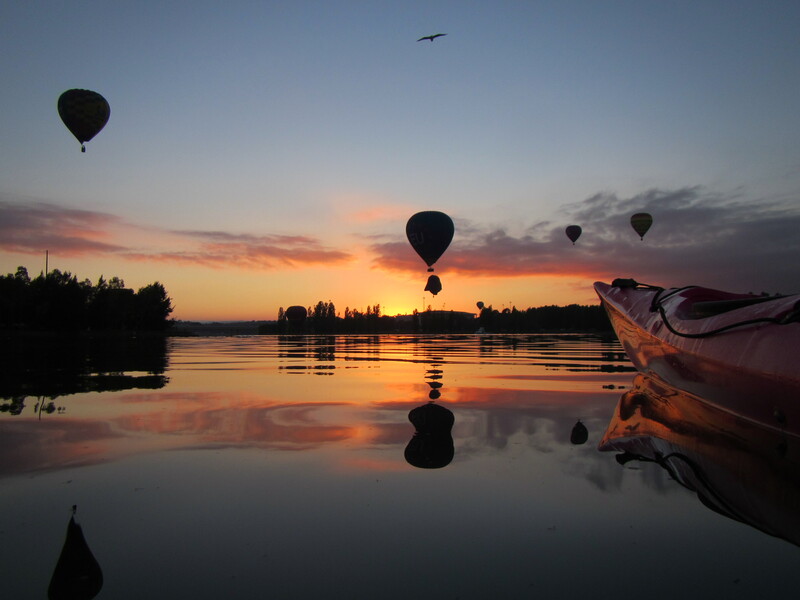 Kicking back and just floating along, no dramas at all……. except for getting you joggers wet! 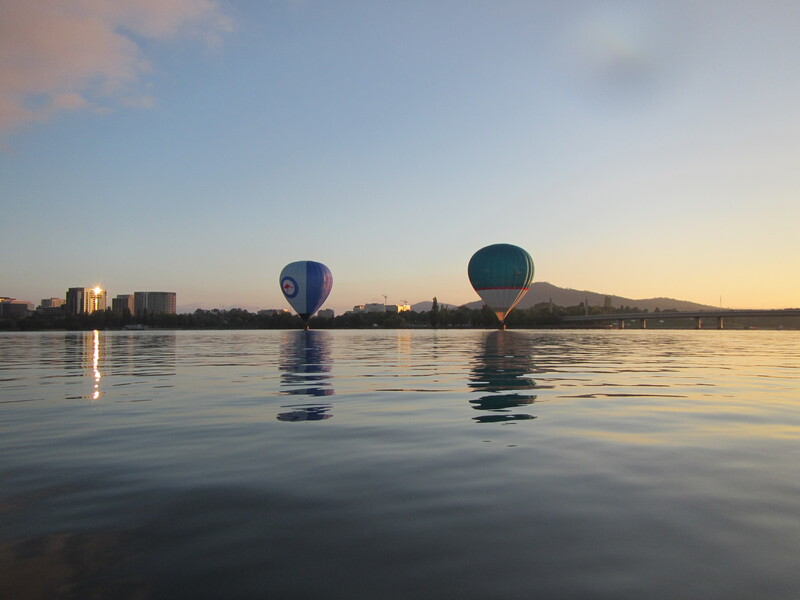 Lake Burley Griffin you have done it again! 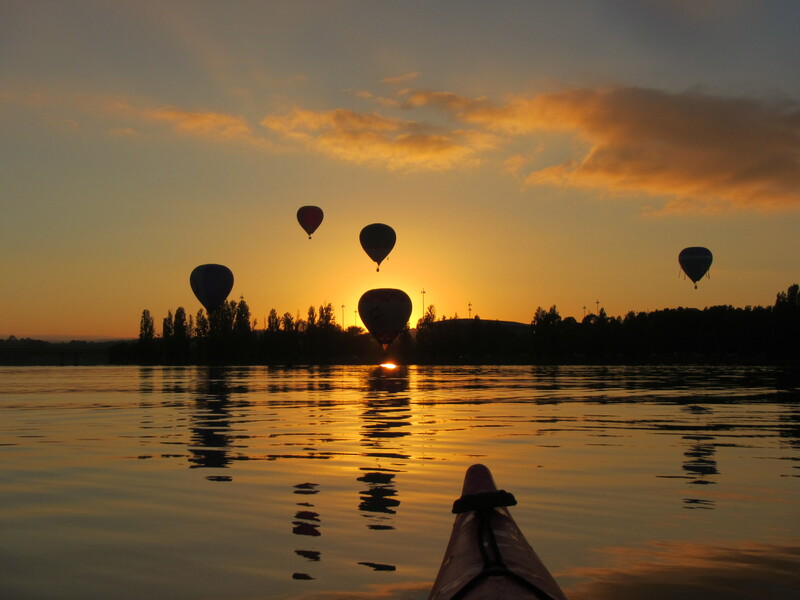 This entry was posted in Canberra, Lake Burley Griffin, Sunrises, Uncategorized and tagged Balloons, Canberra, kayak, Lake Burley Griffin, paddling, Sunrises, WOW, Zen by kayakcameraman. Bookmark the permalink. Thanks lulumiere it was a stunning way to start the day. Hi Suzy, glad the like the photos and thanks for clicking onto the site and commenting. 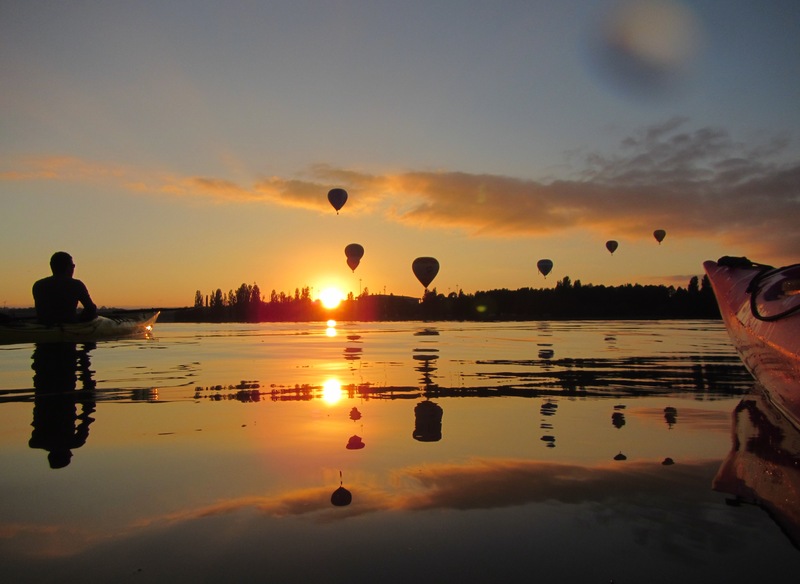 It was just amazing Ann, the colours and the tones were beautiful this morning, not to mention the balloon spectacular. 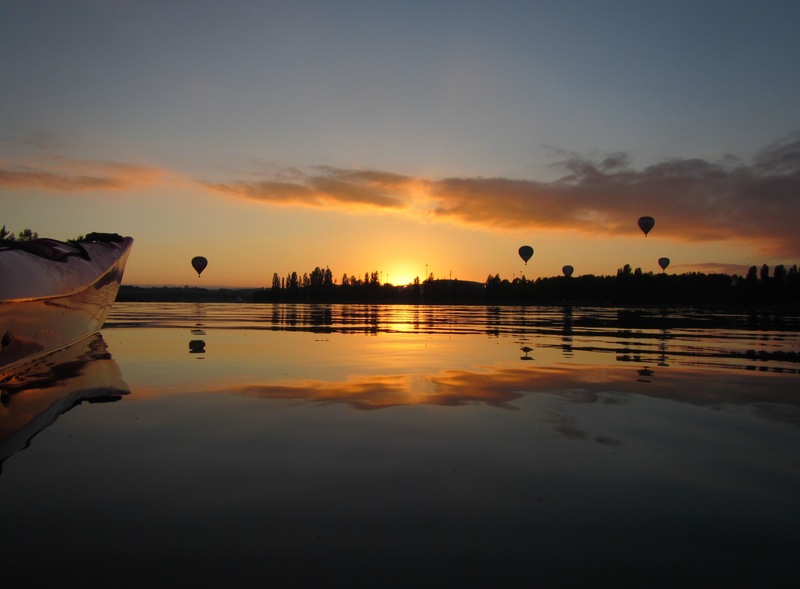 I left the water or should I say I floated off the water very calm and at peace. A great perspective on an interesting day! 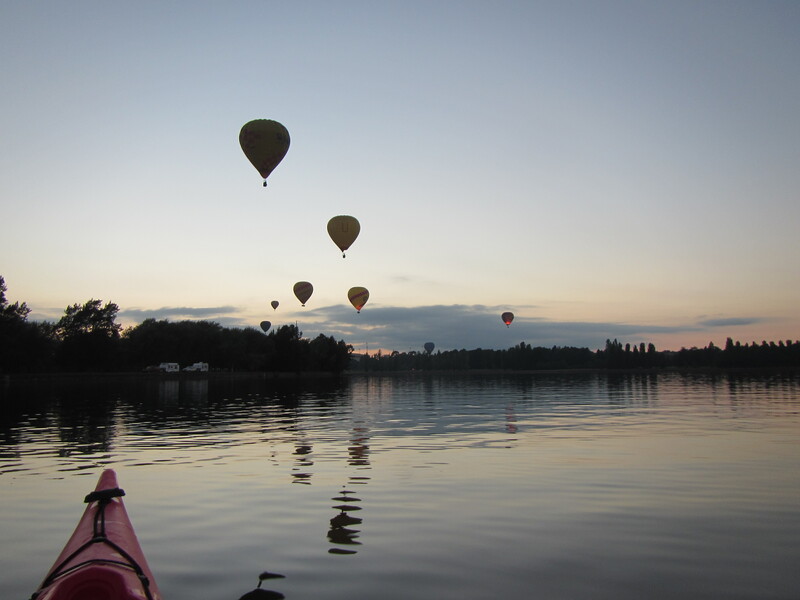 I may have to go buy a bunch of ballons before my next paddle – we don’t see that type of thing around here – haha! Hey Nick, you would have loved it out this morning, it was fantastic. The conditions have just been perfect. 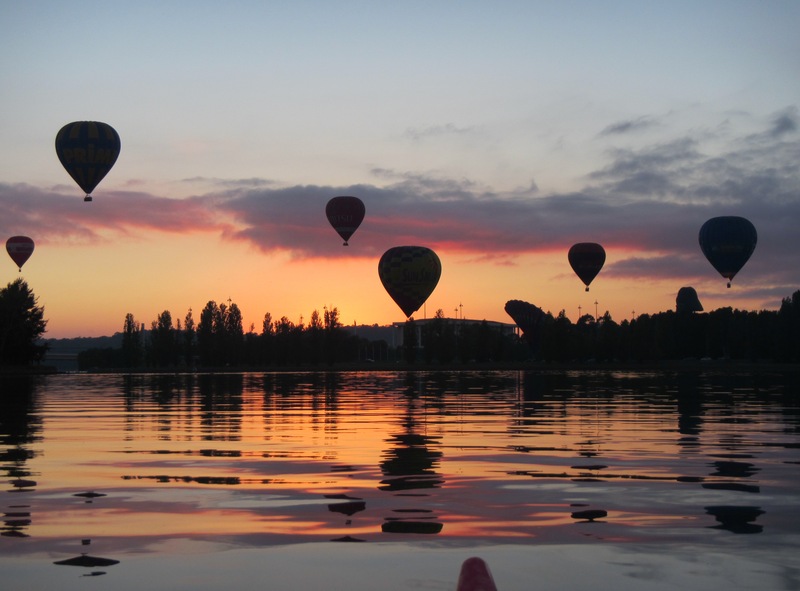 Now I’m just about to run out and float on the lake to photograph the sunset and the fireworks which start at 9pm. That will be different, see how it turns out. That’s it mate, get the biggest bunch of and start clicking away. I look forward to seeing the shots. Hey Nick, The balloons just topped it all off. It was a perfect weekend. We all had a great time, so much to see, so much do. 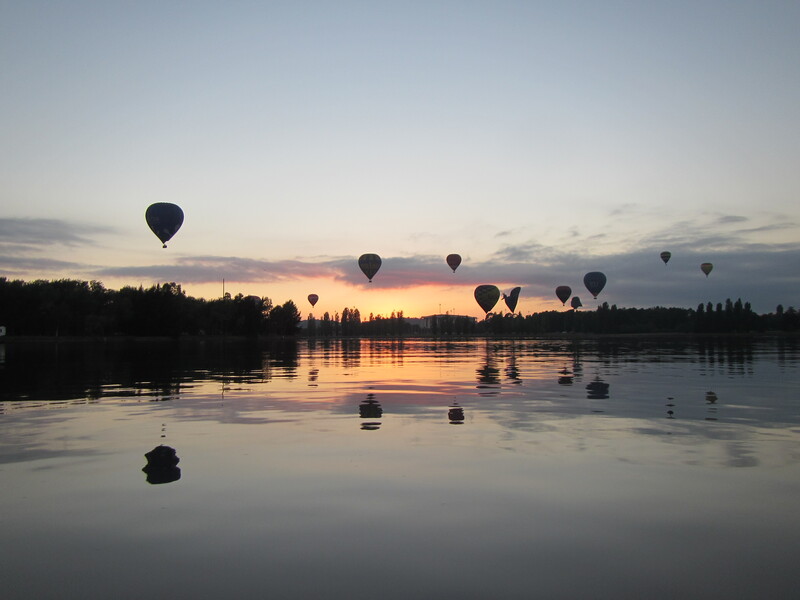 Oops – yeah – ‘balloons’! Still learning to spell here but love the show there – keep up the Paddling 😉 I was impressed to see I got an email response this time – maybe because I ticked that box at the bottom – lol! Like your blog skills more and more 😉 And the pics get better and better! Thanks mate…glad that you are enjoying the shots and the blog. Ahhh with the blog skills….I think that I am just getting to form my own way now…..live and learn….its the only way to go. I have so much learn! Oh wow, is right! Thanks for sharing this great series of photos. What a wonderful experience you had. It was a great morning, you don’t get the opportunity to experience something like that all of the time. Certainly had the wow factor. I’m so glad you like the shots. Amazing photos Paul and an inspiring personal story. What camera do you use? 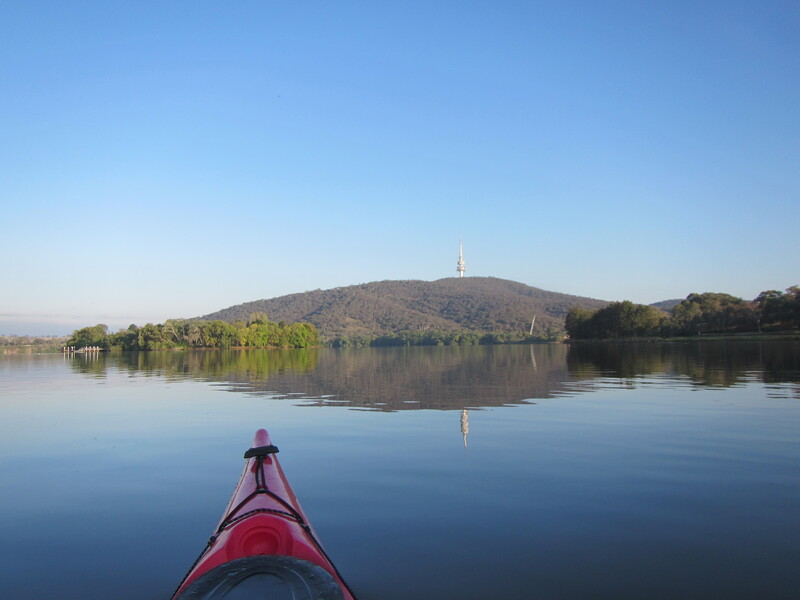 I lived in Canberra for 25 years and still love it, especially the lake. 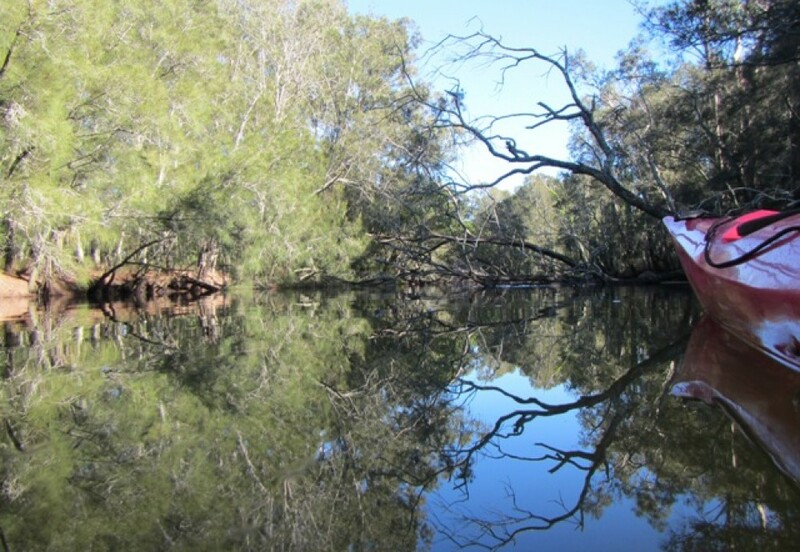 I live in Merimbula now, just 3 hours away from Canberra and we have some beautiful kayaking spots around here – maybe you should visit sometime? Thank you for your kind words. I am using a Canon Powershot D20, it’s a great all-rounder and takes great shots for a compact camera. 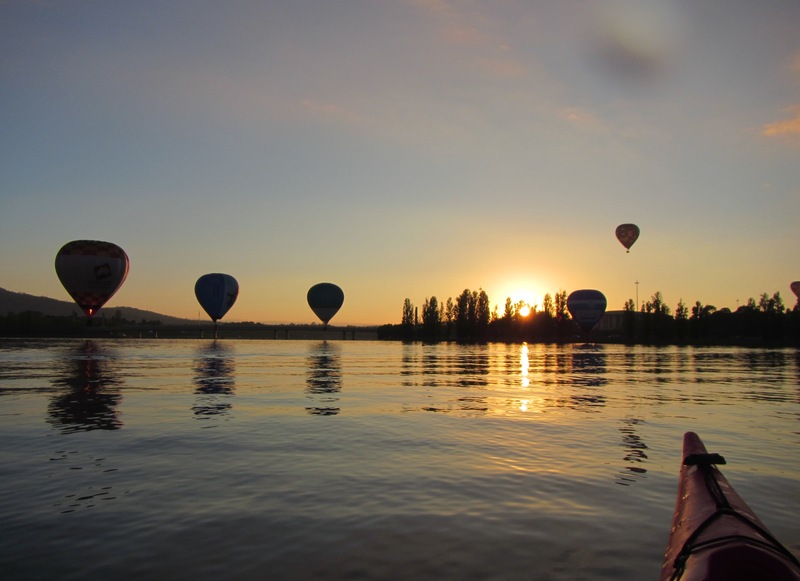 Canberra is a beautiful place to live, the seasons are fantastic! I venture down to the south coast (not as much as I would like) to have my salt water fix. 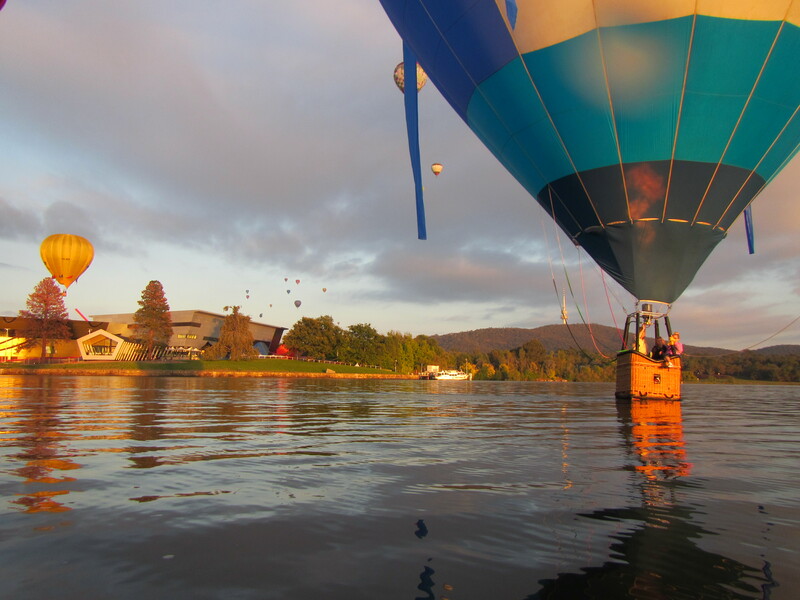 Merimbula and its surrounding areas are stunning. I have been lucky enough to have a few paddles around your way, but there is soooooo much more that I want to see. 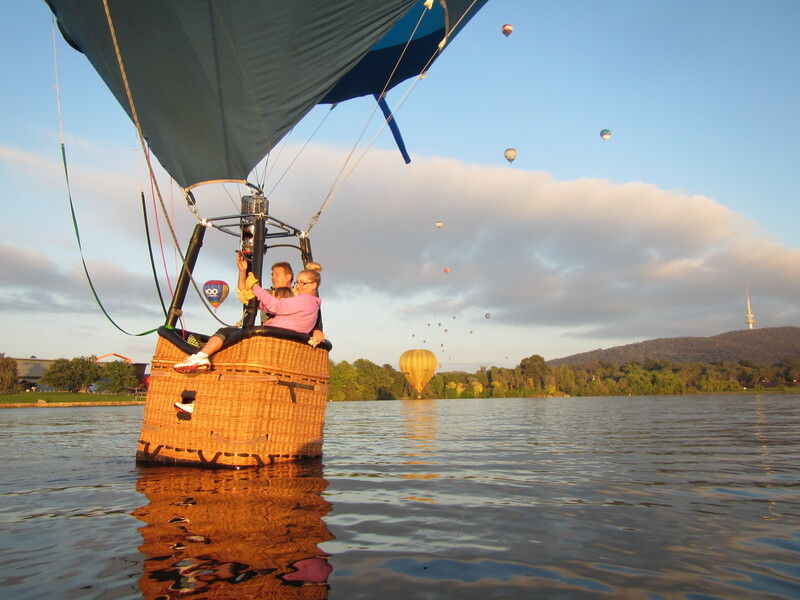 I will be definitely be visiting Merimbula soon. I like your pictures! Being a professional photographer I know it may be difficult to find the right ones although they are great. I personally use a few Lightroom presets to help keep some consistency with my own. I’m so glad that you enjoy the shots and the blog…much appreciated. I don’t use any presets, I just enjoy getting them out there.